Service Plus provides factory authorized parts and service for all commercial cooking and refrigeration equipment. Our dedicated office staff is ready to dispatch technicians at our customer’s convenience. Whether it is by phone or email, Service Plus has you covered. Service Plus offers emergency repair service for all commercial kitchen equipment 24 hours a day 7 days a week. Our factory trained technicians are always available and ready to assist you in the event of an emergency. Service Plus is the factory authorized warranty service company for more than 80 manufacturers. For over 30 years and counting, manufacturers have trusted Service Plus to support both them and their equipment. Equipment never seems to fail on a Monday, but always on a busy Friday night or weekend. Service Plus offers maintenance contracts to keep all of your equipment running at optimum efficiency and performance. 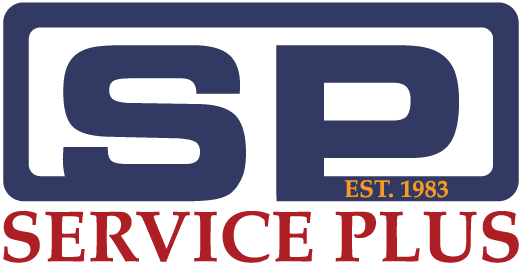 Save time and effort by allowing the experts at Service Plus to provide the installation service for any piece of commercial kitchen equipment on the market. Our In-Shop repair team consists of expert technicians who are ready and able to handle any repairs in-house. Service Plus provides custom fabrication and welding services for stainless steel and many other applications. This ensures we are able to provide exactly what our customers require, even if it needs to be entirely custom. Understanding and operating a new piece of commercial kitchen equipment can be a daunting task. Service Plus provides equipment demonstrations for new pieces of equipment for most manufacturers. Factory authorized equipment start-ups ensure your new equipment is properly calibrated and ready for use.